This apartment has 66 sqm and is located in left Eixample of Barcelona, in the Sant Antoni neighbourhood, practically in the city center. 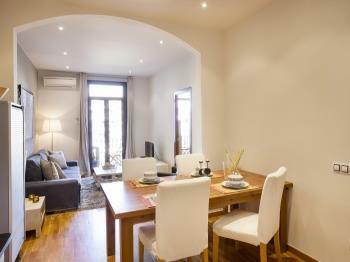 The location is excellent, in an area full of restoration with a huge sort of tapa's bars and restaurants. 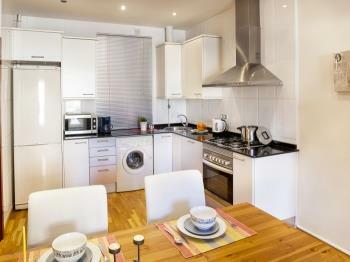 There is a variety of public transport close to the apartment. 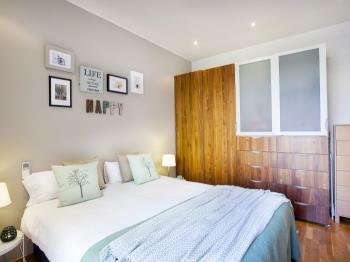 The building in which this apartment is located has a lift and the lodgement has all you need to a pleasant stay for four people. 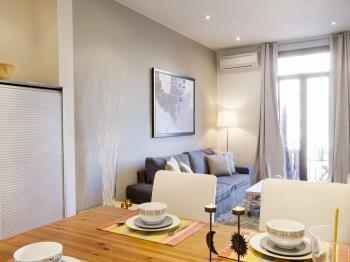 The apartment has a balcony in the living-room and bedroom. 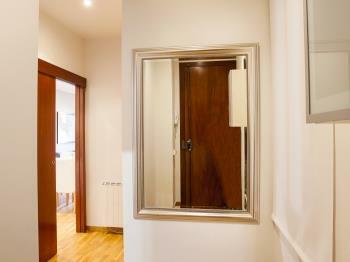 This bright apartment has a living-room and a kitchen sharing an open space, two rooms and a toilet. 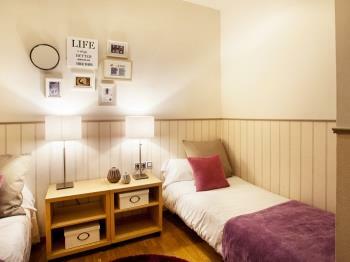 One of the rooms has a double size bed, a big wardrobe, a chest of drawers and bookshelves. 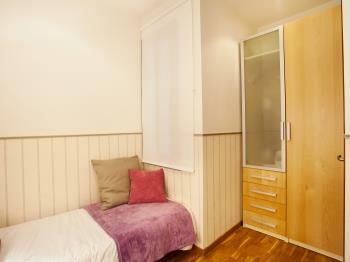 The second room has two single beds and a second wardrobe. 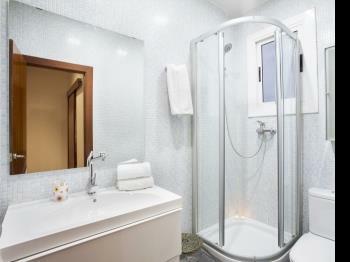 Fully equipped bathroom with shower. 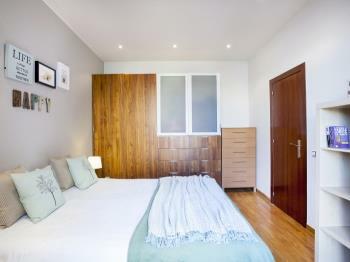 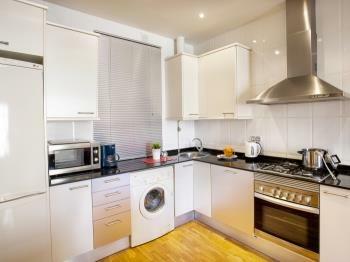 The apartment is equipped with heating system and air conditioned, TV, WIFI access to Internet, washing machine, etc. 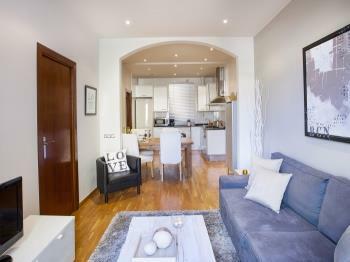 The living-room, with a sofa-bed and table for four people, shares the same space than kitchen, which is fully equipped with all you need for four people. 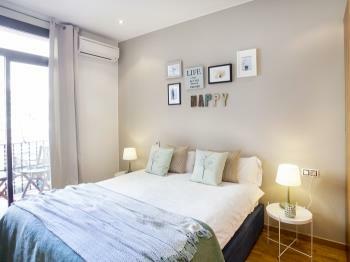 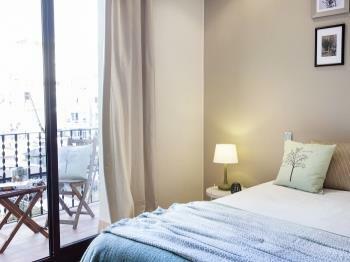 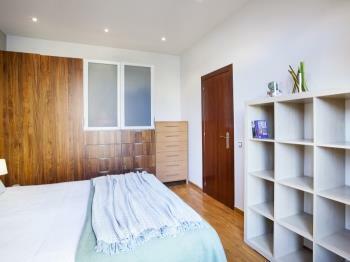 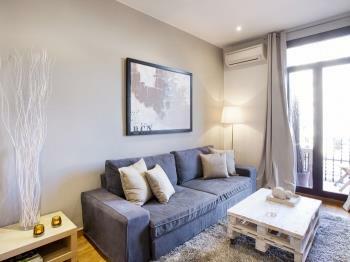 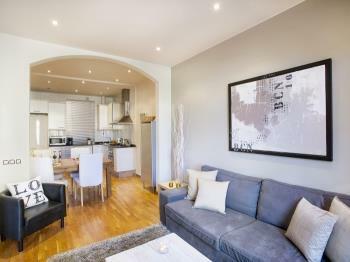 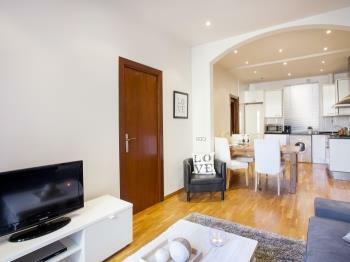 Apartment located close the city center, in Sant Antoni neighbourhood, near Catalunya Square and Rambla of Catalunya. 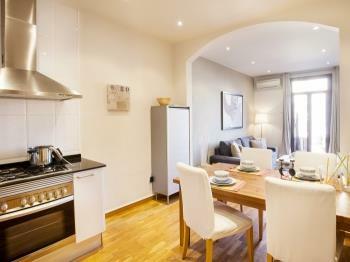 Ideal for people who needs to be in the center of Barcelona. 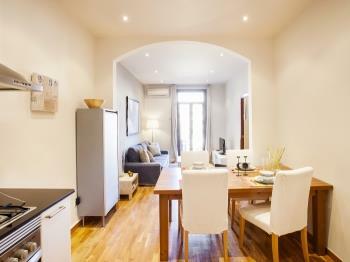 Sant Antoni neighbourhood has a huge diversity of high-quality restoration offer. 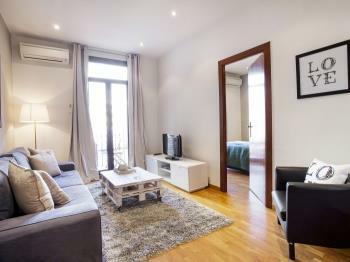 In a quarter of an hour by walking the visitor can be at Rambla de Catalunya or the boulevard Passeig de Gràcia, where the modernist buildings of La Pedrera or Casa Batlló are located. 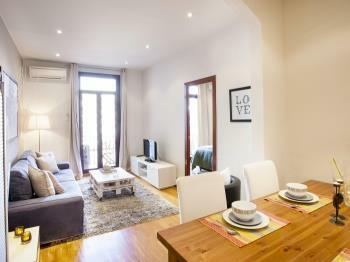 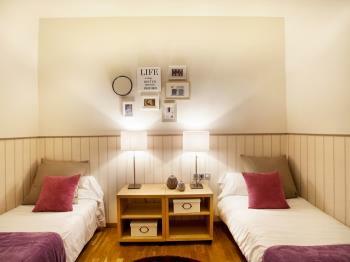 The apartment is also close to the historic center of Barcelona (Ciutat Vella).